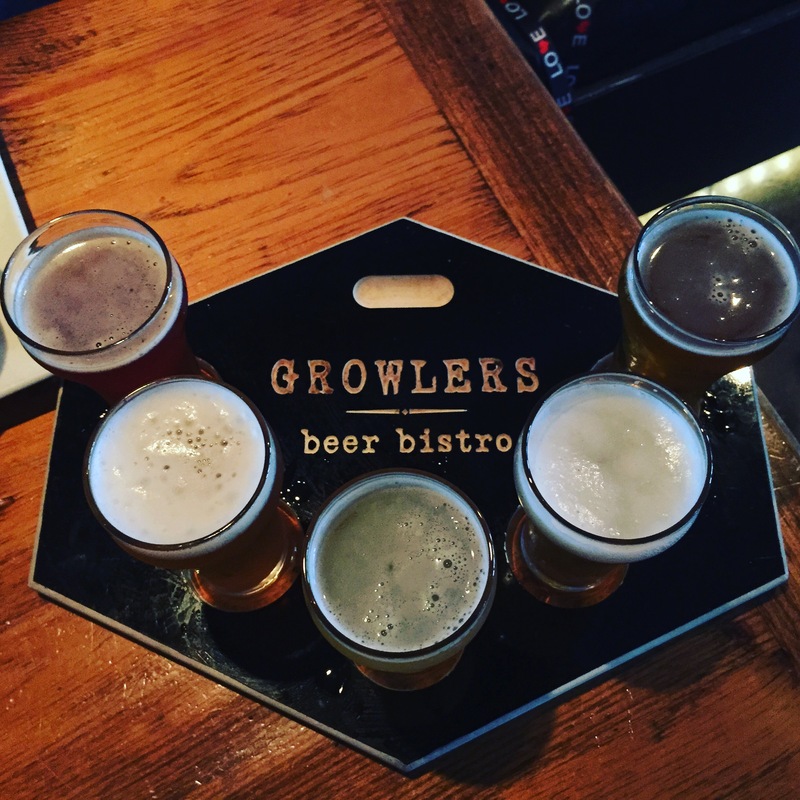 Over the last few months, we’ve learned about Growlers Beer Bistro, a local pub in Tuckahoe, NY. We’ve featured a few of their events, including the Feast of the Seven Dogfishes, on our blog. After attending yoga one Sunday morning, we decided to treat ourselves for a late brunch and check out the space for the first time. Growlers is located in an industrial building and as you enter, it immediately feels like the perfect place to catch a game over craft brews and food or to enjoy a casual meal with friends. 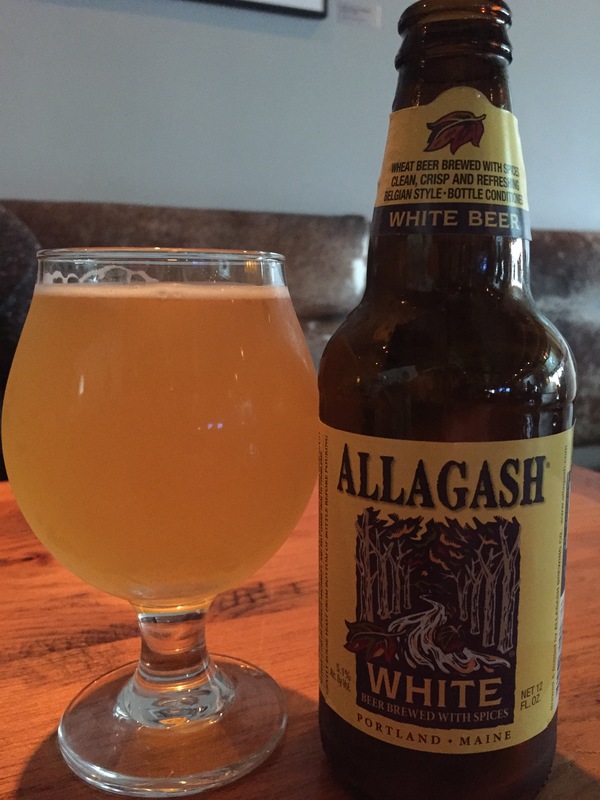 After looking at the beer list and asking for a recommendation, Kristina started the meal with a Allagash White, which is always a refreshing choice. We were surprised and deeply appreciative when we were treated to a flight with each selection offering something unique; it was a great way to sample some of the options available at Growlers. For our meals, we ordered the Rosemary Chicken Burger and Growler’s Cheeseburger. 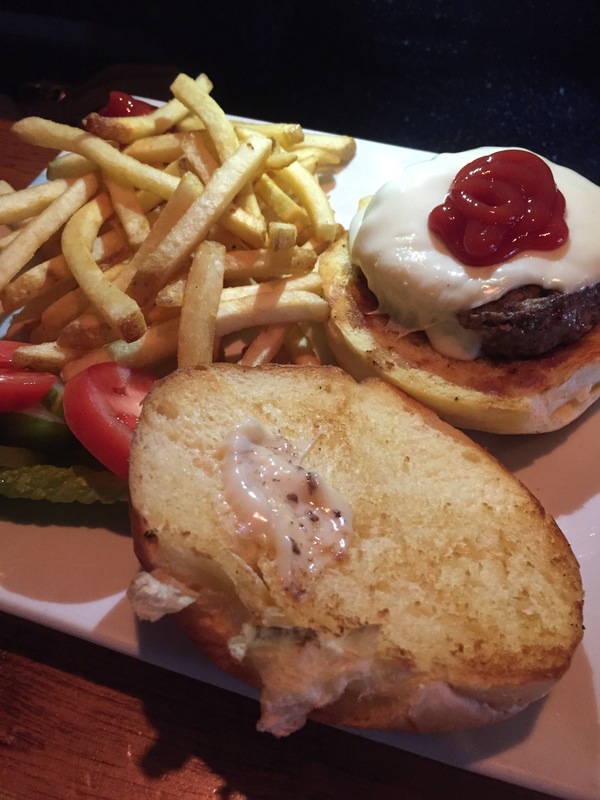 Nothing beats watching football and eating a delicious burger! Both sandwiches were cooked just right with the meat tender and tasty. 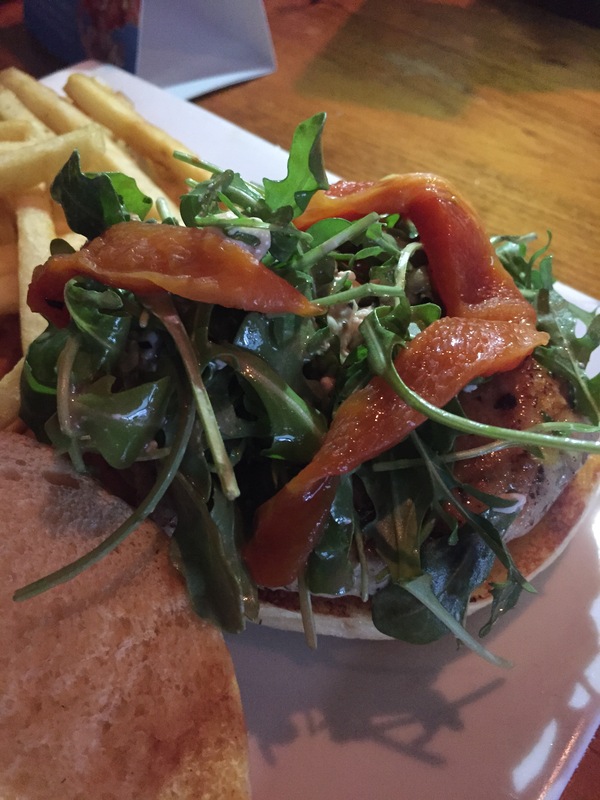 The arugula in the chicken burger added a peppery kick to the sandwich. We look forward to returning to Growlers next time we’re in the mood for happy hour as well as for trivia or another special event. Have you been to Growlers? Tell us about your experience there or at another favorite pub in the comments below! Great staff, beer, food and location. Come one come all.